Although I no longer follow the WW program, this book is frequently used in our home. It has our all time favorite turkey meatloaf recipe. Of course, since finding EYB I might discover an undiscovered new all time favorite hiding in another cookbook. Our family really liked these eggs. Next time I have a note to add an extra 1/2 tsp of Dijon mustard. Note: make this the day before serving. Note: increased liquid by 1 cup. Next time decrease basil. I used Rotel tomatoes &green chilis instead of stewed tomatoes. Simple and tastey served with rice. Not sure why this recipe is called spicy, since it only calls for 1/4 tsp. hot sauce. I added 1 tablespoon Tabasco and it still wasn't all that spicy. Anyway, it was a tasty, basic meatloaf recipe. I left out the mushrooms and used a chopped tomato instead. Diet fads come and go, but the proven program that people get with and stay with is Weight Watchers. Now this thoroughly revised edition makes weight loss easier and more delicious than ever. It's completely up to date with the latest Weight Watchers FlexPoints Weight Loss Plan--the simple, flexible way to achieve weight-loss goals without giving up favorite foods. 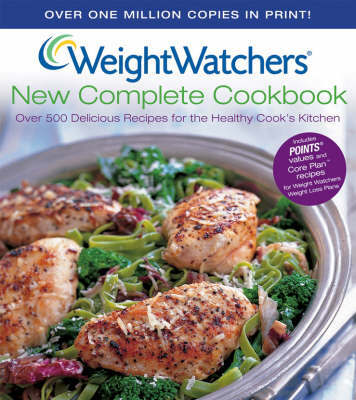 From appetizers to desserts, it's packed with fresh, flavorful recipes that everyone will love, even friends or family members who may not be watching their weight. Readers will find variety on every page, whether they're looking for a quick and easy weeknight dinner or something special to spice up a weekend brunch. Keema Samosas, Roasted Broccoli with Cumin-Chipotle Butter, Chocolate Fondue--with choices ranging from classic comfort foods to zesty international dishes, boredom is never on the menu.